Chilly fall evenings in BK. Here’s a really simple look I threw together around a couple of new pieces from H&M. I found this rose shirt and lately anything with red roses just catches my eye. I have a red rose dress similar that I absolutely love. Such an easy pattern to wear with leather for a casual evening out! I wore these faux leather shorts with it as well. I love to pair shorts with tights in the fall and winter, its a great way to layer. I’m working on editing some videos today to share with you guys! I wish video editing wasn’t such a lengthy process. I’m sure I’ll get better at it as time goes on. 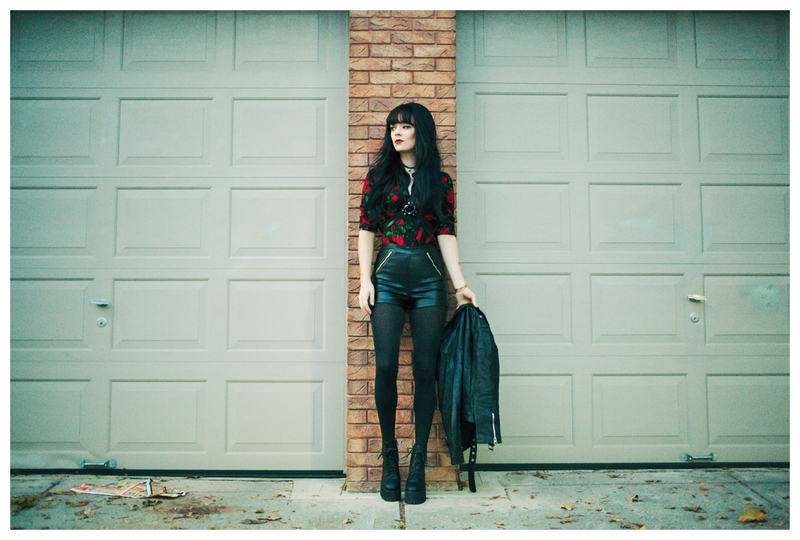 In this look… shirt and shorts from H&M, Viparo leather jacket and harness from Jackimac. I could see for miles. Next PostSeason of the witch. This outfit is amazing! 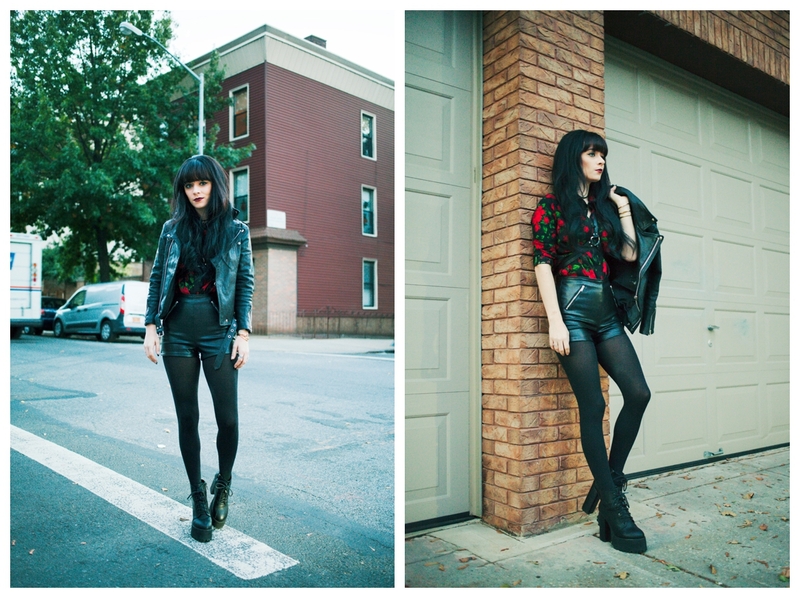 Those faux leather shorts are so badass! I also love the print on that top. Loving the leather on leather look. The rose print top makes the outfit more romantic. Love it! I love how you are wearing this harness! It’s a very delicate and subtle way to wear it.